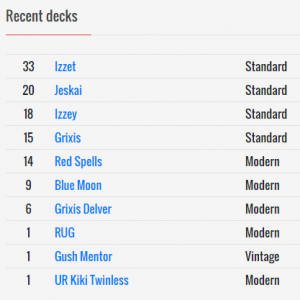 Ultimate Masters is still in full bounce back mode, and the last World Magic Cup has come to a finish. Plus, some sweet Ravnica Allegiance spoilers have hit the market so there’s gonna be a nice mix of things to talk about again in this piece. 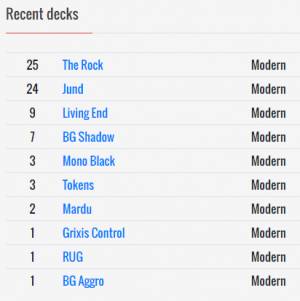 Owing to the spoilers, this might be a little more on the speculative side of things compared to previous articles where a lot of the content was based on tournament results and shift in the metagame. 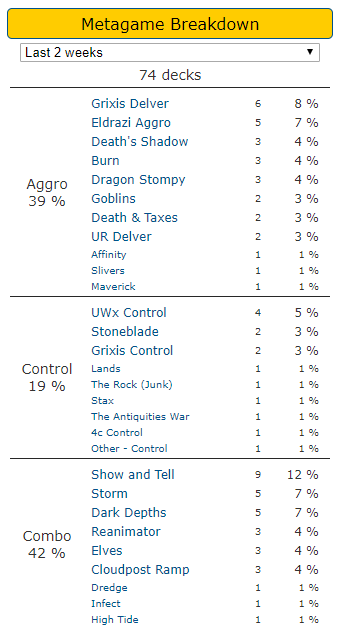 With UWx Control decks still being quite popular and also doing decently well in Modern and Legacy, some people have started to add this to their sideboards again. The price has pretty much remained flat since it rotated out of Standard about a couple of years ago but has started a slight rise in the past six months. I’m not sure if this will get reprinted anytime soon; but if it does, the price can’t really fall too much further. This was recently spoiled as a reprint. If you haven’t seen the spoilers yet, be sure to check them out here. This is really a Standard-only card with an additional boost from quite a bit of play in EDH/Commander, showing up in over 17,000 decks. However, I picked up a playset of these because this version will never get printed again. And Wizards will probably continue to reprint this once in a while in Standard. This is a sweet version of the card, especially if you don’t like foils. This has really tumbled from it’s release price of $25. And I’ve had my eye on this card for Modern’s Izzet Phoenix. 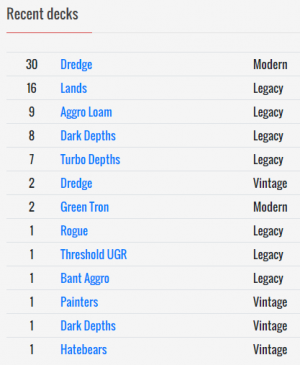 It actually shows up in quite a few decks in Modern. The card also had a pretty good weekend at the World Magic Cup with it showing up on both sides of the table in the finals between Arnaud Hocquemiller and Shahar Shenhar. 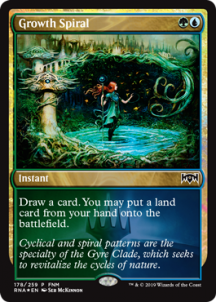 I think we’re going to see more of this card in Modern and Standard going forward. So I picked up a playset, especially since they’re only about $5 each now. 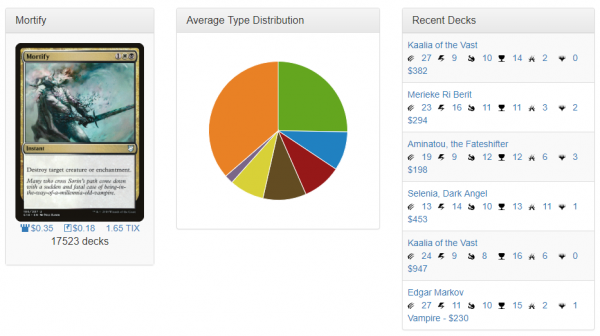 There are a lot of copies on TCGplayer right now, and it doesn’t see play as a four-of; so I don’t expect the price to pop anytime soon. And if you want to splurge, the Mythic Edition under $35 seems like a pretty decent deal. 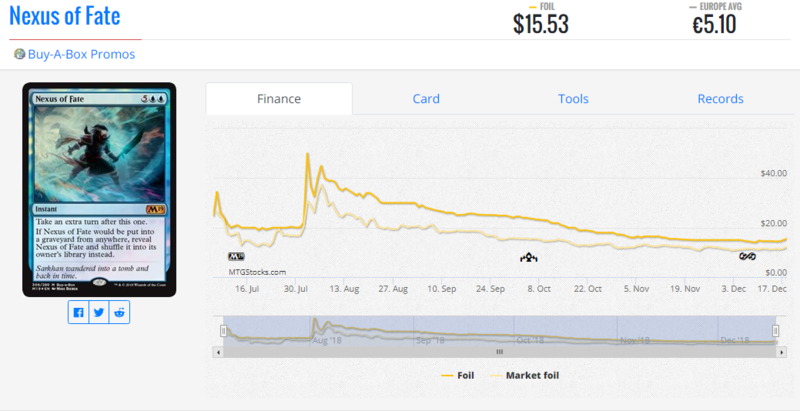 This has pretty much come back down to its lowest price even after the crazy spike during the Pro Tour 25th Anniversary. But now might be the time to pick it up again thanks to the spoiling of Growth Spiral. Aside from it being two colors, this is an essential an upgrade to Explore, which could cause an uptick in decks like Scapeshift and Amulet Titan. I’ll get to those two decks next. There are five printings, but this is probably the coolest one. Thus, the price is a little higher than the other versions. But it’s hard to see the price of this go down much further if any at all ever again. It sank to about $10 once. But that happened about five years ago, and this is a promo so I would say that’s very unlikely to happen again. This shows up in the aforementioned Scapeshift and Amulet Titan decks, so the demand is there. And as I mentioned, the demand could rise a bit with the printing of Growth Spiral. There isn’t really any countermagic in either deck, but there are still some instants that show up like Lightning Bolt, Abrade, Nature’s Claim, and Ancient Grudge. Plus, Engineered Explosives and Walking Ballista sometimes also show up. So Growth Spiral gives the deck a bit more flexibility now on its opponent’s turn. I just wanted to spend a little bit a time talking about these specifically since a lot of the regular cards have already bounced back. If you want to read more about that, I suggest checking out Sigmund Ausfresser’s article. Anyhow, the box toppers that kind of stick out to me are Fulminator Mage and Life from the Loam. They both see quite a bit of play and neither of them have a promo version. And they’re both significantly cheaper than many of the other box toppers. I’m having a hard time with these. I think because I’m not really that big of a fan of them. But I’m pretty sure I’m an outlier. Over time, I think most of these will just continue to go up in price, since many of them have new art or are the only ‘full art’ version. I think Wizards could’ve made the full art design a bit more pronounced, but that’s just my opinion. Anyhow, I think if you really want them, it’s pretty hard to go wrong with picking these up as they’ll most likely hold their value and continue to appreciate over the years. Office Hours #4 is coming up, and I’ll be co-hosting it with Sigmund Ausfresser. You can catch the audio of Office Hours #3 with Sigmund Ausfresser and me here in case you missed it. Office Hours #4 is set for Thursday, December 27 at 8p Central, so mark your calendars and join us in the Discord channel if you have a Quiet Speculation membership subscription.